This is our fourth and final tutorial on how things move. In tutorials six and seven, we explored how things move and change position. In Tutorial eight, we looked at how far something moves. 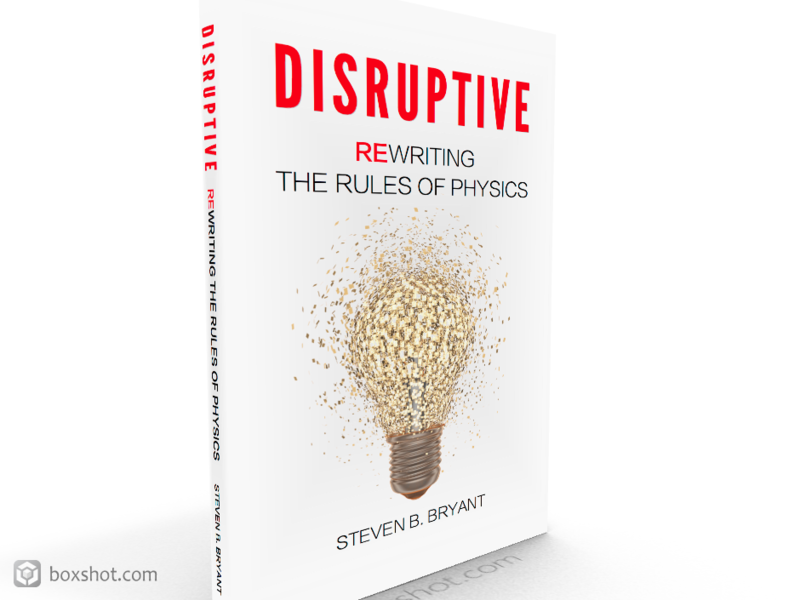 In this tutorial, we are going to take what was introduced in the previous tutorials to explore solving a question involving distance and position. We’re not going to introduce anything new; we’re just going to put the pieces together that we’ve already discussed. We’re going to begin with the familiar example involving a street, a bus, and a woman. 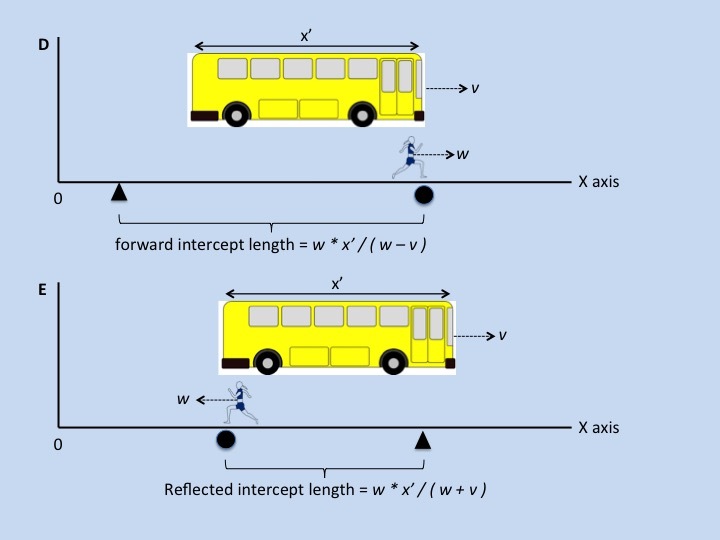 As illustrated in Figure A, the front of the bus is at x and it has been moving at velocity v for t seconds. Standing on the street is a woman who is located at the rear of the bus, represented by the black triangle. The woman has one goal: to run at velocity w from the rear to the front of the bus, where upon reaching the front she will turn around and run back to the rear of the vehicle. This example should be familiar, since it closely mirrors the initial setup presented in Tutorial eight. The only assumption we’ll make is that at time 0, the rear of the bus was located at the origin, or at the zero mark. Where will the bus be located when the woman has completed half of her round–trip journey and how far will she have traveled? 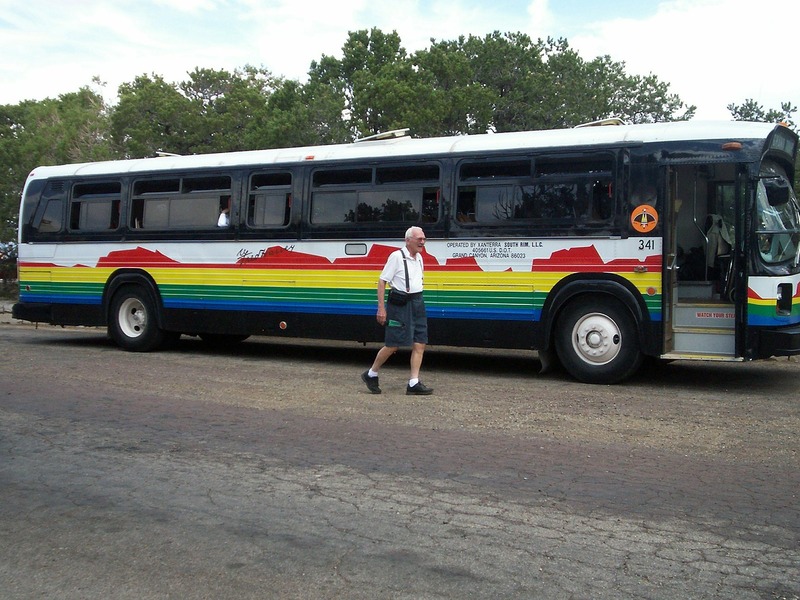 Because the rear of the bus is at the origin at time 0, the position of the front of the bus, x’, is also the length of the bus. Revisiting Tutorial one, we could use either x’ as the length of the bus or we could use the expression x – vt; both are equivalent. For now, we’ll use x’, but we will come back to this later. Recall from Tutorial eight that we can answer questions about the distance the woman runs without regard to the position of the bus or the woman. So, we could leave the bus where it is, as in Figure B, with its rear at the origin. Unfortunately, doing so would place us at a disadvantage later when we need to determine the position of the bus after the woman has run the average intercept length. So, as illustrated in Figure C, we’ll move it back to its original position at time t. Notice the only real difference between figures A and C is that we now know the length of the bus. Now that we know the length of the bus, x’, we can determine the forward and reflected intercept times and lengths. As discussed in Tutorial eight, the forward intercept length is illustrated in Figure D. It is the length from the triangle to the circle, which is longer than the length of the bus. The reflected intercept length is illustrated in Figure E. It is the length from the triangle to the circle, which in this case is shorter than the length of the bus. Notice that when each intercept length is divided by the woman’s velocity w we have the forward and reflected intercept times, respectively. Before we continue, there is an important subtlety that we must note: The woman runs in both directions. Once she has run the total length of one oscillation, she is not ahead of the bus; she is at the rear of the vehicle. So far, we’ve done a lot of work, but haven’t answered the original question. Fortunately, we have the information we need to answer the question. Because we have the forward and reflected intercepts, we can find their average by using the addition mean equation or the subtraction mean equation. This average is illustrated in Figure F.
Notice that the average intercept length is shorter than the forward intercept length, but longer than the reflected intercept length. This means that when the woman has reached the average intercept length, she has not yet reached the front of the bus. Remember, she doesn’t reach the front of the bus until she has traveled the forward intercept length, the position of which is represented by the black circle. This is an extremely subtle, but important point to remember; one that we’ll come back to when we examine Einstein relativity theory. Don’t be confused by the Greek variable that is used to represent the average intercept length. Here we use it for a specific reason, to represent a distance. This will help to prevent mistaking a distance for a position. Now that we have answered the question about the distance the woman has run, we must now answer the accompanying question of the location of the bus when she reaches this distance. Remember, she has not yet reached the front of the bus. The first approach is illustrated in Figure G, although both will give the same answer. Notice that the front of the bus is ahead of the woman. They will not meet until they both arrive at the forward intercept point. We have now answered the question about the bus’s location and how far the woman has run when she has completed half of her journey. Now for the good news: You have mastered almost all that you need to know about Modern Mechanics! Additionally, you now have a solid foundation from which you can explore Einstein’s relativity theory as well as see where he made several mistakes. Both of these we’ll explore in upcoming tutorials.